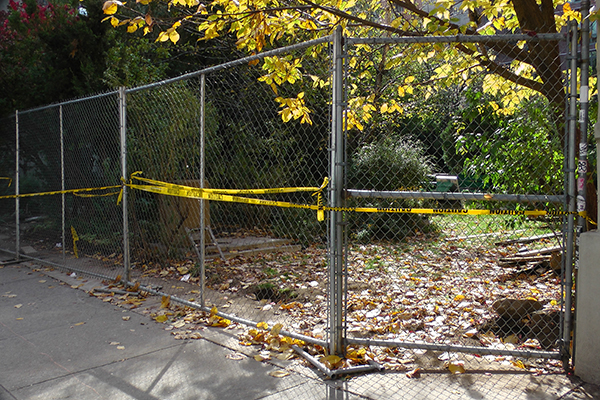 Regular readers of this blog will no doubt remember the post A New Fence, that I posted yesterday, about the new fence being put up in front of the Orchard Alley Community Garden, on East 4th Street. Do you see how the sun glistens off the yellow leaves and yellow caution tape? Truly beautiful! For those who want to see more of the perimeter fence, I prepared a video. Enjoy! so they take down the chain link fence and then put up a temporary chain link fence that looks like the one they took down!